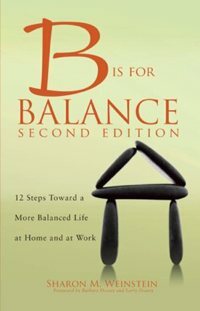 In B is for Balance, 12 steps toward a more balanced life at home and at work, 2nd edition, we answered the question, “Can we have balance?” So many readers enjoyed the book and requested more – more tips, more techniques, and a roadmap to balance. Now, we offer a workbook to guide the reader to an awareness of what is needed to create, and sustain balance! This is The Road to Stress Management. 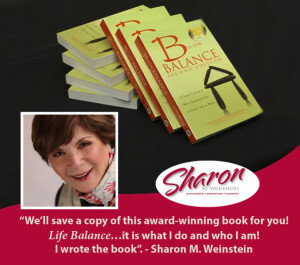 Use this link to order, B is for Balance Workbook…The Road to Stress Management. An understanding of both sides of the aisle or ocean is essential to one’s negotiating and leadership success. Agreements and relationships are critical in today’s global business environment. In this book, you will gain the negotiation strategies needed to handle difficult people, manage conflict, and pick your battles. Preparation is the key to feeling confident and ready to create an all-win outcome. 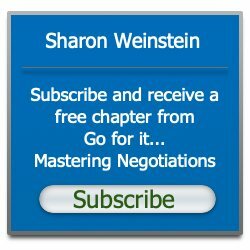 In this tell-all approach to negotiations, the reader will learn how voice, body language, eye contact, and yes, personality, affect behaviors, outcomes, and communication. 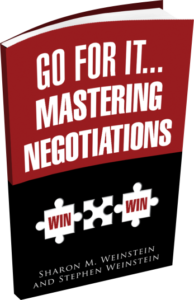 From Main Street to Wall Street, Go for It engages the reader in mastering the negotiation.